This months insider tip is for those of you that are thinking of selling their houseboats. You may be considering changing hobbies, or simply wanting to sell your houseboat to upgrade to a bigger (or smaller boat). Do you want some "high traffic" classified ad space for free to post your boat, or simply to add "boating related" items for sale, our free classifieds ads section is for you. 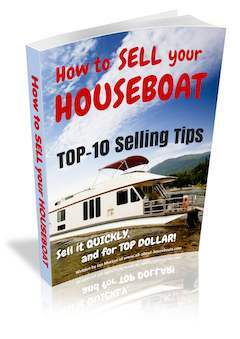 Don't miss out on our extremely popular Top-10 Houseboat Selling Tips. * Do family pets like cats and dogs enjoy living on houseboats? * Does houseboat living & marine insurance really go together? * How to stay warm on boats during the cold winter months? We hope you find the links useful, and do enjoy the website, IAN. 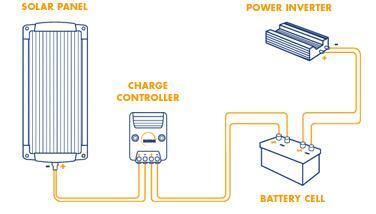 there a better way to do pump-outs with your houseboat? Parts and Accessories with Information, Reviews and a Buyers Guide to help with your next House Boat Parts & Accessories purchases. Insurance Specialists - marine house boat insurance quotes"